I was born in 1970 in Edsbyn, Sweden. I recieved the M.Sc. 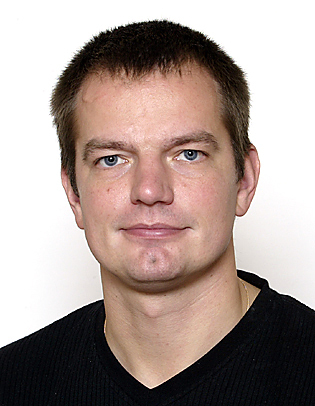 degree in Electrical Engineering 1995 and the Ph.D. in Vehicular Systems, 1999, both from Linköping University. My main research interests are modeling, simulation and control of vehicle propulsion system where I have a special interest in issues related internal combustion engines and vehicle powertrains. The following list topics describe the research areas that I have a high interest in: Ion sensing, Zero-dimensional in-cylinder pressure models, Calculation of chemical equilibrium, Modeling and control of turbocharged SI and DI engines, Turbocharger modeling. My list of publications shows some of the the recent develoments and our research results. I am involved in several reserach projects as researcher and as supervisor for PhD students. More information can be found on their respective homepages, see Linköping Center for Sensor Informatics and Control LINK-SIC, MOVIII, Turbo Power. I am project leader for the CENIIT project Modeling and Control of Turbocharged Combustion Engines from where I also have part of my funding. I also participate in the Swedish Center for Automotive Propulsion Simulation, CAPSim. I was involved in the successful VINNOVA excellence center ISIS (Information Systems for Industrial Control and Supervision) and managed the project: Signal interpretation and Control in Combustion Engines. I have also participated in VisiMod. For information on our research, see the groups research description and list of publications. I participate in the teaching of the following courses at under graduate level. Modeling and Control of Engines and Drivelines (replaces the old course TSFS05 Vehicular systems). TSFS03 Vehicle Propulsion Systems covers energy consumption and fuel consumption optimization in vehicles. It treats the energy conversion in traditional cars, hybrid cars, and fuel cell vehicles. TSRT10 Reglerteknisk projektkurs, CDIO, which is the project course for electrical and mechanical engineers that specializes in mechatronics and control systems. I am also responsible for the curriculum for the specialization on Automatic Control on the Mechanical Engineering program. The following list shows some of the courses that I am involved in on the PhD level. Numerical Solution of ODEs and DAEs. Modeling and Simulation of Thermochemical Systems. Control and Optimization of Conventional and Hybrid Powertrains. Turbocharging the Internal Combustion Engine. I temprarily host the SIMS 2013 proceedings. For even more information about my work, please visit my now very outdated personal homepage.